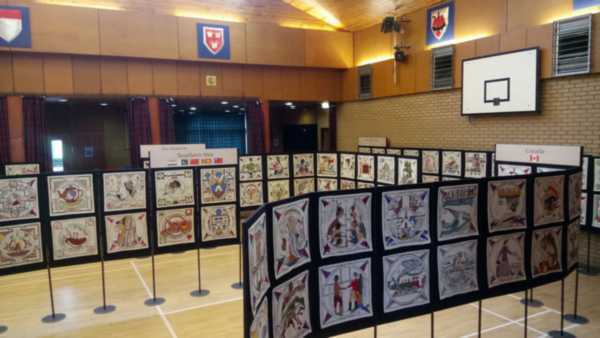 As the 3 Harbours programme foretold a month and more ago, there was a great deal to see and marvel at in this year's great arts festival here along the coast from Prestonpans to Port Seton. 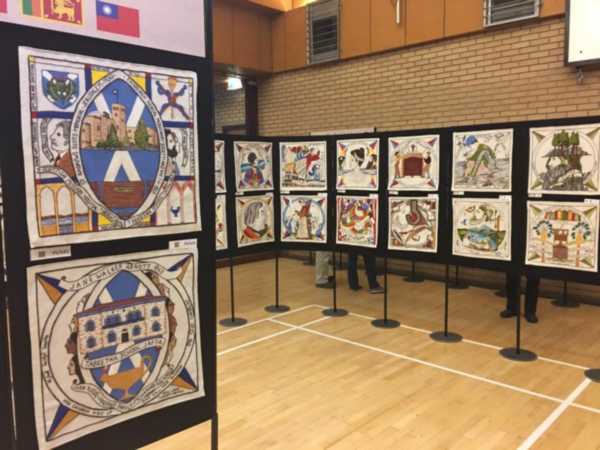 And amongst all the artworks, back again, twice the size since it launched at the 3 Harbours for the nation's Homecoming 2014, is our very own Scottish Diaspora Tapestry. Since then it's been right around the globe to be seen and enjoyed across the diaspora that created it. 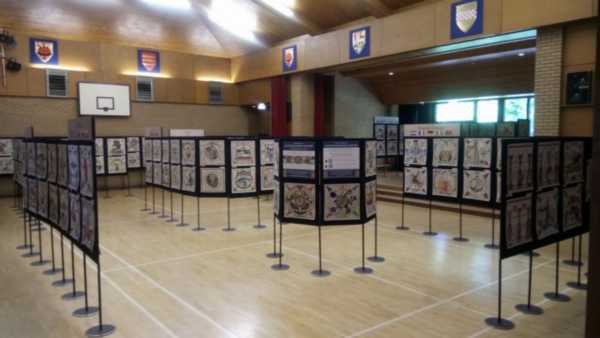 It's been exhibited in cathedrals and art galleries, hosted Hogmanay and Burns Night in Canada, been as far north as Iceland and as far south as Otago in New Zealand. Now it's back in Scotland sharing with us all the stories of Scots who left for other lands and made their marks - often establishing the Church of Scotland and educational initiatives [as in Jerusalem & Jaffa seen below], sometimes ensuring independence as in Australia, Canada or the USA; at other times becoming outlaws even joining a gold rush to Australia or New Zealand. All beautifully stitched.